Welcome to Clachaig Inn, located in the very heart of Glencoe, surrounded by magnificent views to the mountains, and an ideal stopping off point for exploring Scotland’s most famous glen. Stay a while, as travelers have been doing for hundreds of years. Clachaig Inn offers a choice of accommodation to suit your needs. The hotel has 23 fully modernised bedrooms with en suite facilities; the accommodation offers a choice of double, twin and family rooms. Many of our bedrooms enjoy magnificent views of the Glencoe mountains. Clachaig Holidays offers 12 luxurious self catering chalets, cottages and lodges in and around Glencoe and Ballachulish, with village and rural locations, ideal for a holiday or a short break. Food is served daily from noon till 9. The bars also provide a huge range of Scottish craft ales, lagers, stouts and ciders, a collection of over 365 malt whiskies and over 100 Scottish distilled gins. Relax a while by the log fires or stay for our regular live music nights. Bed and breakfast accommodation in the heart of Glencoe. 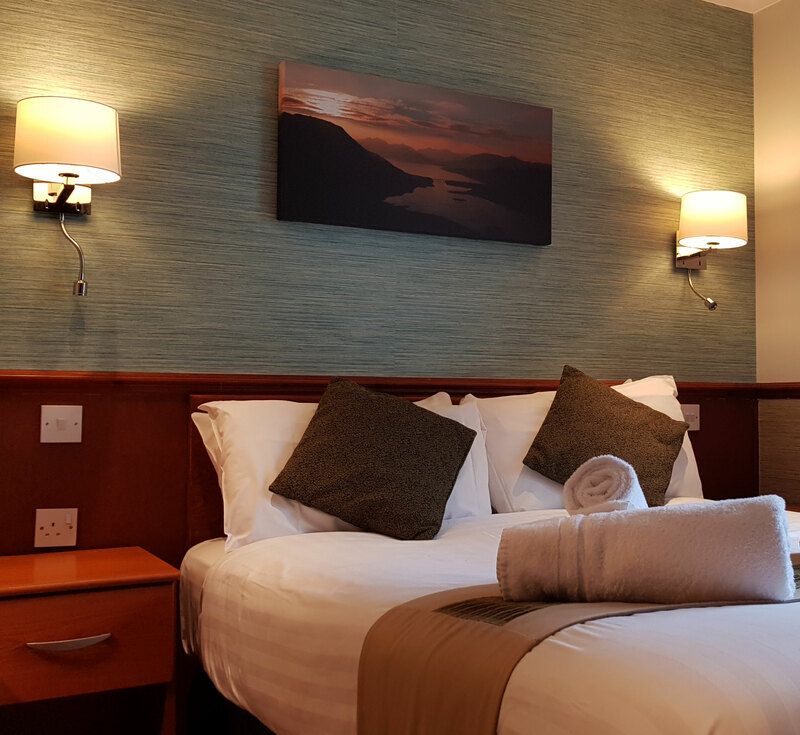 Choose from 23 modern, comfortable rooms at the 3 star inn, all of which have either shower and toilet, or bath, shower and toilet facilities. Food is served throughout the day from Clachaig's extensive and imaginative menu. Whether in need of a light snack or a sumptuous meal, there’s something for everyone. Many dream of coming to live and work in Glencoe. Stop dreaming and make it a reality! Read more about employment opportunities at Clachaig. Come and see our wares. Enjoy our unique range of Clachaig goodies that will make you the envy of your friends. The ideal place to look for the answers to perhaps the most often asked questions. Everything from live music in the Boots Bar to whisky tasting and beer festivals. Bookmark the date for our 35th year of Winter Mountain Safety Lectures. Full details will appear towards autumn 2019.